Paige Lush teaches courses in music history, applied low brass, and directs the concert band at MCC. 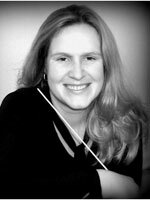 She holds a BM in instrumental music education from the University of Tennessee, an MM in music history from the University of Memphis, and a PhD in musicology from the University of Kentucky. Her research is focused on American music of the nineteenth and early twentieth centuries. She has presented her work at the national conference of the Society for American music, the South Central Chapter of the American Musicological Society, and is slated to present new research at the upcoming North American Conference on Nineteenth-Century Music. Her research has been published in Americana: The Journal of American Popular Culture and Musicians and Composers of the 20th Century (Salem Press). Lush studied conducting with Dr. Edwin Powell, Tom Stites, and Dr. Erica Neidlinger. She performs regularly on euphonium and bass trombone, and has studied euphonium with Sande MacMorran, Jimmie Self, and Dr. John Mueller. She currently performs with The Pedal Tones and the Ocean Blu Big Band.